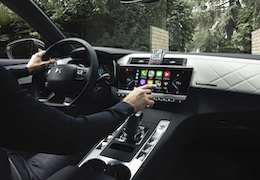 Step into the world of French luxury and advanced technology. Buying your next car should be a pleasure, which is why we offer a relaxing environment, plus complimentary Wi-Fi and coffee for every visitor. 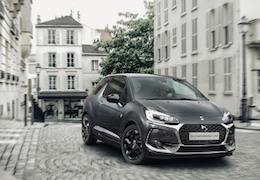 Visit us and allow our dedicated DS Expert Advisors to walk you through our impressive DS range. 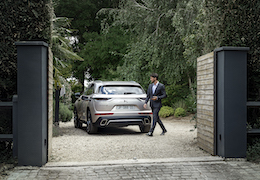 Indulge your senses and experience what it’s like to own a DS. Or why not give us a call? 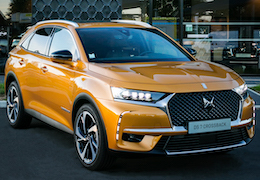 Subject to availability, we can bring DS 7 CROSSBACK to you to test drive at home. Find out more about our range of cars, all featuring remarkable design, attention to detail and advanced technology. No business or fleet should have to compromise on luxury, no matter the size. Business needs leaders, not followers. Enjoy a collection of be-spoke benefits and experiences with Only You. Owners can benefit from exclusive events throughout the year. 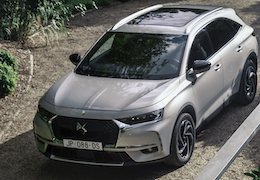 Find the perfect used DS for you and enjoy the alliance of DS style, refinement and technology present in every model. Here at Arnold Clark in Stirling we sell new DS cars. 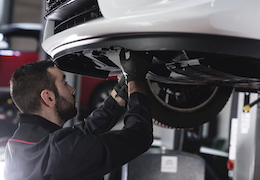 We also provide a range of services to ensure your vechicle is well-maintained for both comfort and performance. We are conveniently located and incredibly well-connected, with the nearest bus stop just a short walk away on Spring Kerse Road. We also benefit from being close to Stirling train station, making getting here by rail extremely easy. Our dealership has been designed to be easily accessible, with convenient customer parking and disabled access. Children are welcome to come along and enjoy our family-friendly play area. The brilliant facilities here at Arnold Clark mean your little ones can have great fun while you discuss your automotive needs with our DS advisors. Fitting car repairs around your busy schedule can be difficult, so we provide our customers with a key drop box to make life a little easier. This means you can leave your car keys with us at a time that suits you, even when our store and workshop are closed. You can then get on with your day knowing they have been left in a safe and secure place. We are dedicated to saving you time and trouble when it comes to maintaining and repairing your DS, that's why we offer a flexible pick-up service. By collecting your vehicle from you, we aim to make getting your car in for repairs or maintenance as easy as possible for you. 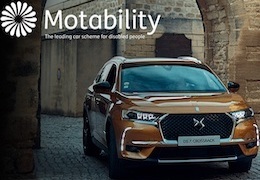 This website is hosted and managed by Citroën UK Limited t/a DS Automobiles ("DS Automobiles", "we" or "us"). We need to collect and process your personal data and share it with the appropriate dealer so that we can facilitate your request and follow up with you. 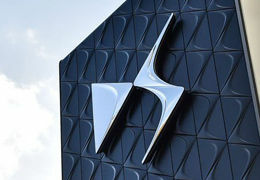 For more information about DS Automobiles, your rights and how your personal data is processed by us.